Entry filed under: Uncategorized. Tags: cow, estimate, Fermi, hamburger, McDonald's. Math Words for National Dictionary Day	What’s in Your Pocket? What a fun and silly Fermi approximation! Here’s my try: a burger is about 1/10 pound of cow and Micky-Dees serves about 100 burgers per second, so 10 lbs of ground cow per second. A cow is about 1000 lbs, but lots of that is bone, gristle, better cuts of meat that aren’t burger-ified, and so on. Let’s say that 10% of a cow is ground beef-able, so 1 cow gives about 100 lbs of burger. At 10 lbs per second, and 100 lbs per cow, it looks like McDonalds serves about 1 cow every 10 seconds. Hmm. McDonald’s brags that their “big” patties are quarter-pounders, which is 1/4 pound. I don’t know the exact size of their smaller patties (the ones they use on a regular hamburger), but I suspect it’s more than 1/10 pound. And I do have first-hand knowledge — I worked at McDonald’s for about 6 months in high school. Though happily, I usually worked the early shift, so I got to spend 5/8 of my shift making pancakes and eggs, which was way less greasy than flipping burgers. But finishing your logic, X, that’s 6 cows a minute, 360 cows an hour, or about 8,640 cows a day. My understanding of Fermi approximation is that the goal is to do everything in powers of 10, as that makes things a *lot* easier. If a “big” patty is a quarter of a pound, then a “typical” patty is likely smaller. Given the choice between an estimate of 1/10 of a lb or 1 lb, the smaller quantity seems more apt. By the way, I spent some time Googling this yesterday. 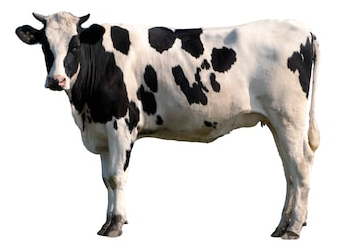 I can’t find any good answer to the question of “How many burgers do you get out of a cow?”, but unreliable sources on the interwebs seem to give a number around 100 lbs of ground beef per cow (with more ground beef coming from cull cows… ewww…). McDonalds claims to use 190,000 lbs of ground beef per day (or did in 2013, anyway), which is something on the order of 1900 cows per day. So, the two estimates don’t disagree by *too* much (order-of-magnitude speaking). Huh. I’ve never heard the powers-of-10 thing for Fermi approximations, but makes sense.